What is this shared humanity that he is referring to? This shared humanity is compassion. The concept of compassion has fascinated philosophers and theologians alike, from Aristotle to Hegel, and to more recent authors, including Schopenhauer, Levinas and Adorno among others. Compassion is more than just peace. It is truly wanting for our brothers and sisters what we would want for ourselves. It is the ultimate attribute in so many ways, something we try to cultivate in ourselves, our children, and our society. And yet for many of us, compassion is something we have not properly cultivated and do not see at work in our society often enough. I have been involved in interfaith work for eighteen years now, and one thing I have learnt along this journey is that in order to build genuine coexistence and sustainable peace, inter-faith must go beyond just merely speaking politely to one another or simply leaning about one another's faith - it must deeply involve compassion. In order to do this, it must include a process of intra-faith, where we look inwardly at ourselves, and deeply reflect how our faith informs us, our worldview and our relationship with others - especially those who are "different". This year, my good friend Dave Andrews, a devout Christian, decided to engage in both inter-faith and intra-faith during the month of Ramadan, a holy month for Muslims when they abstain from food and liquids from dawn to dusk. 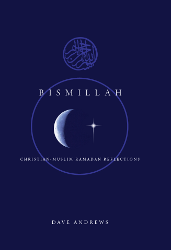 Dave not only fasted alongside his Muslims brothers and sisters during Ramadan, he also spent the month deeply reflecting on Bismillahir Rahmanir Rahim - a simple yet profound supplication which translates to "In the name of God, the most Gracious, the Most Compassionate, the Most Merciful". Each day during Ramadan, Dave reflected on what this supplication meant for him as a Christian, in his work with others; in his love for humanity; as well as his solidarity with his fellow Muslim brothers and sisters. This unique work contains all of Dave's Ramadan reflections, his profound thoughts on what it means to be a true witness to God's love, mercy and compassion for all His Creation. Dave's reflections not only mirror that "Australian soul" Tim Costello talks about, but will better facilitate harmonious coexistence and understanding in our multi-religious, multi-cultural society. 3 E Levinas (1993). Humanism of the Other Man. Madrid: Trotta. The Quran instructs Muslims to fast during the month of Ramadan for the purpose of acquiring something called taqwa in Arabic. In the context of fasting, taqwa might best be understood as 'self-discipline' or 'self-restraint'. However, in its fullest sense the word means 'God-consciousness'. Dave Andrews is a man whose life reflects this consciousness of God. His personal piety, kindnesses to others and service to the needy are manifestations of Dave's God-consciousness. This Ramadan his goal was to engage in a religious practice that is common to the great world religions including Islam and Christianity. His reflections while fasting during the month concentrated on an invocation with which each verse of the Quran begins and that Muslims utter at the beginning of every action, 'in the name of God, the most gracious, the most merciful'. This Bismillah invocation encapsulates a conception of God that is not exclusive to Islam but conveys a universal message. The era in which we now live has presented people of different faiths with many challenges. The terrorist attacks of 9/11 reminded many of historic conflict between Islam and Christendom. 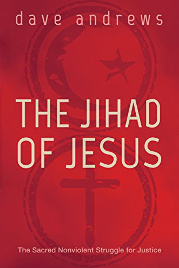 Events of the past decade seemed to confirm that hostility between Islam and Christianity is the norm rather than the exception. Muslims and Christians were reminded of the Crusades while the peaceful Muslim-Christian coexistence of Medieval Spain, for instance, was all but forgotten. In reality, however, the contemporary era offers far more opportunities for inter-faith understanding than it does challenges. We no longer live in a world divided along the lines of empires defined by a commitment to one faith or another. We are fortunate to live in a world with countries that are increasingly multicultural. Like much of the Western world, our nation Australia is moving beyond multicultural and becoming increasingly intercultural. In this context, we move beyond merely co-existing with other cultures and faiths to where various cultures and faiths inform one another. This process begins with mutual respect and understanding. Christians and Muslims like Dave Andrews and Nora Amath have spent many years learning from one another. While Dave has shown Muslims a path towards God through the provision of service to the needy based on dignity, the Bismillah invocation has taken Dave another step closer to God. God is not the exclusive possession of Muslims or Christians. Dave's experiences and reflections this Ramadan demonstrate that Muslims and Christians have much to teach to and learn from each other in respect to navigating a path towards God and living according to God's will. "Dave has encapsulated the very essence of tawheed so well, he brought me to tears. I honestly believe he has the character that we should be embodying - better than a majority of Muslims - and I think that's why he has this affect on us (not being Christian). Surely refinement of character only comes with purifying one's understanding of religion. I've always been perceived by some as 'conservative', but throughout his reflections I was in awe, because it was as if he was either reading my mind or taking the words off my tongue. He even quoted some of my favorite hadiths! May Allah grant him eternal happiness. Ameen"
Riffat Gurdezi, Editor, Northside Da'wah Revival.